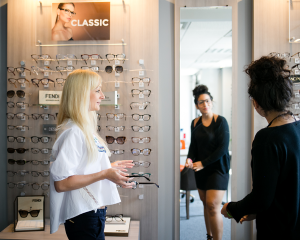 The eye care professionals in Verona Eye Care Center give thorough eye care to a diverse clientele with specialist support for a wide array of issues such as macular degeneration, dry eye, diabetic retinopathy, glaucoma, and cataracts. Myopia Control (nearsightedness control) is a clinical practice in which a doctor attempts to halt or slow down the progression of myopia in a child or adolescent. Digital eye strain, eye fatigue and computer vision syndrome (CVS) are conditions that result from extended exposure to digital screens. Symptoms of computer or digital eyestrain tend to be noticed after someone has used a digital device for as little as 2 hours a day.